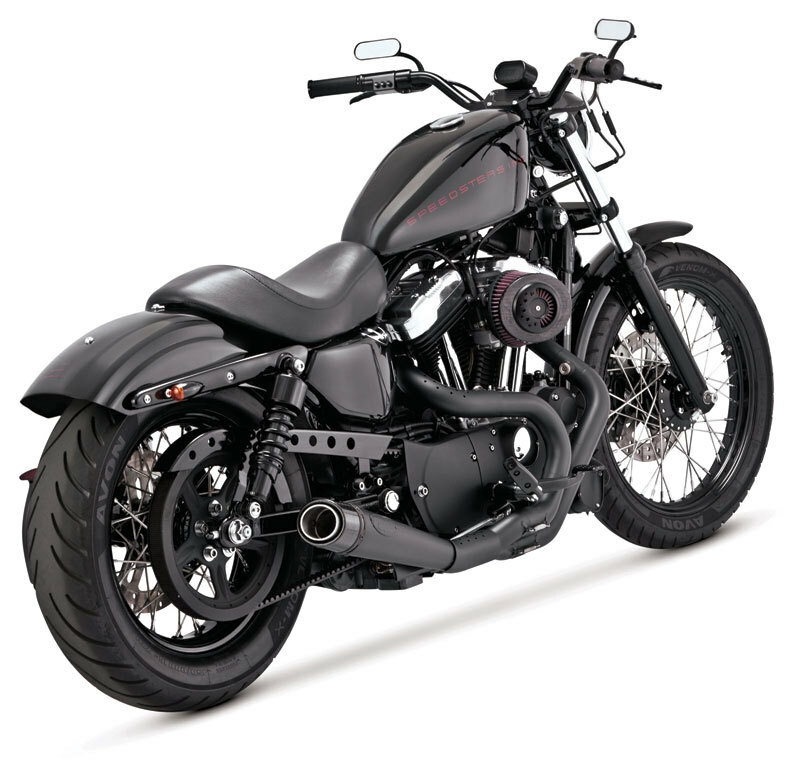 MAG Europe now has the newest exhaust system from Roland Sands Design available - the Slant 2-into-1 for use on '04 - '13 Sportsters. The new RSD system will fit bikes with standard mid controls and some aftermarket rear sets only, but will not work with stock forward controls. The RSD Slant is being offered in two versions, both made from stainless steel. One option is stainless steel with a carbon fiber end cap, and the other is finished in a satin black ceramic coating and with a carbon end cap. The header pipes on the Roland Sands Design system are stepped from 1.75in to 2.0in and have 18mm O2 sensor bungs. There is a heat shield for the rear cylinder and collector inlet, and fiberglass and SS wool is used for the baffle material. Exhaust port gaskets are included.